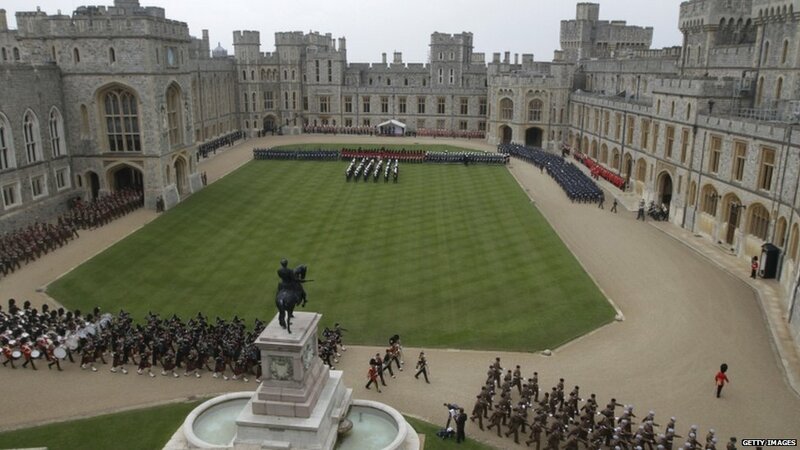 The Queen and the Duke of Edinburgh watched as thousands of troops paraded through Windsor Castle to mark the Diamond Jubilee. 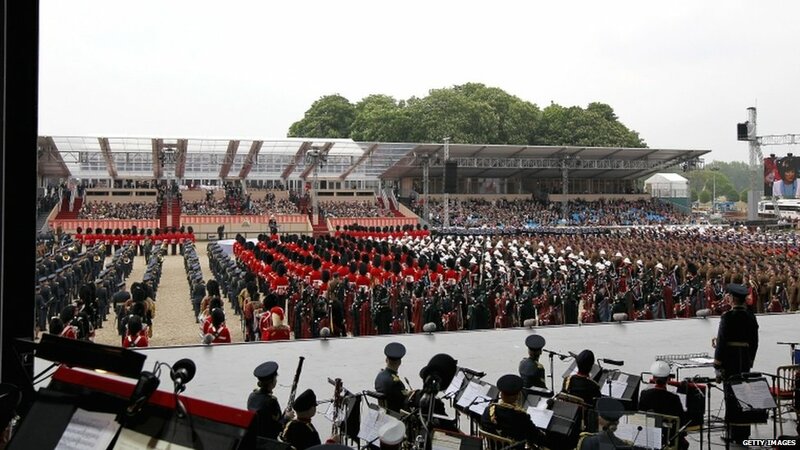 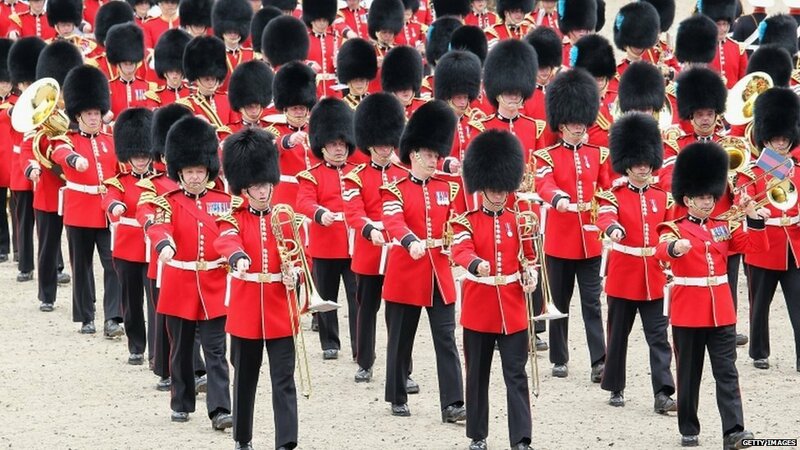 Six bands led about 2,500 members of the Royal Navy, the Army and the Royal Air Force as they marched through the quadrangle of Windsor Castle and then through the town. 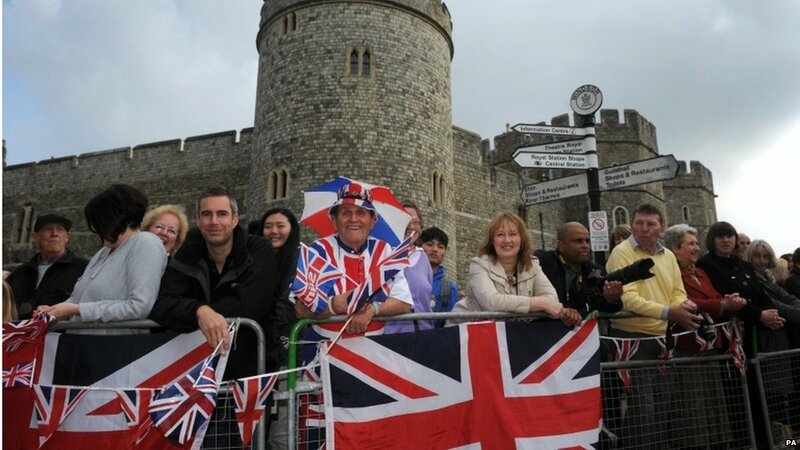 People were lining the streets from early morning to catch a glimpse of the spectacle. 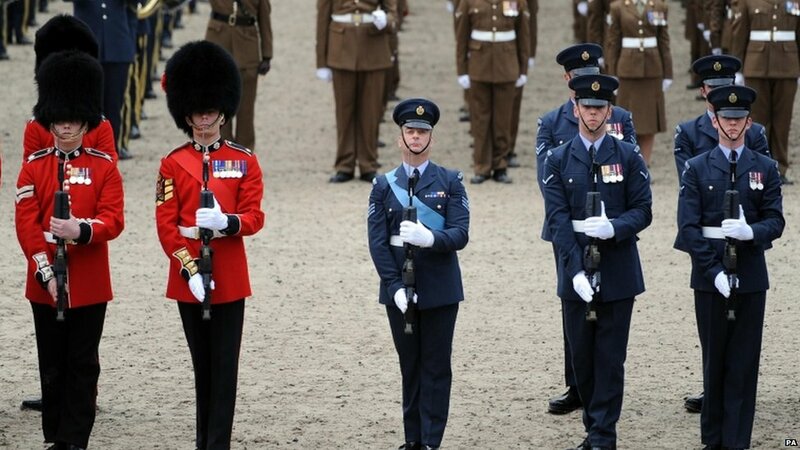 It is the first time all the armed forces have appeared together in parade for the Queen, who reviewed each service separately at the Silver Jubilee in 1977. 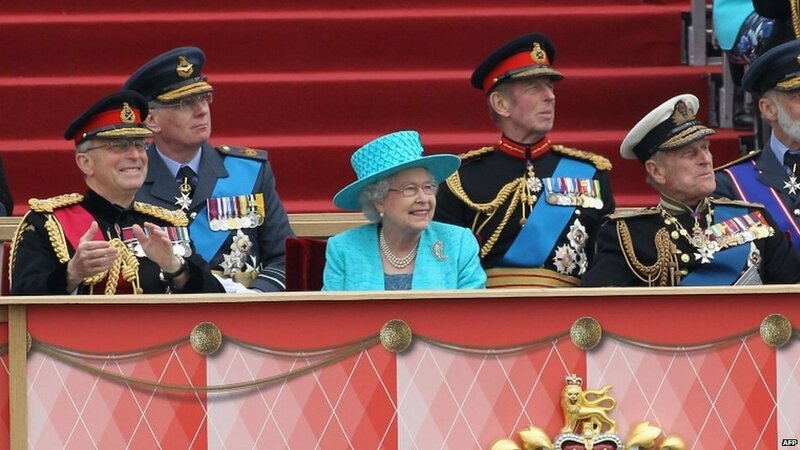 Chief of the Defence Staff General Sir David Richards, pictured here to the left of the Queen as they watched a flypast, said: "Her Majesty the Queen's support and encouragement over the years has created a very special bond." 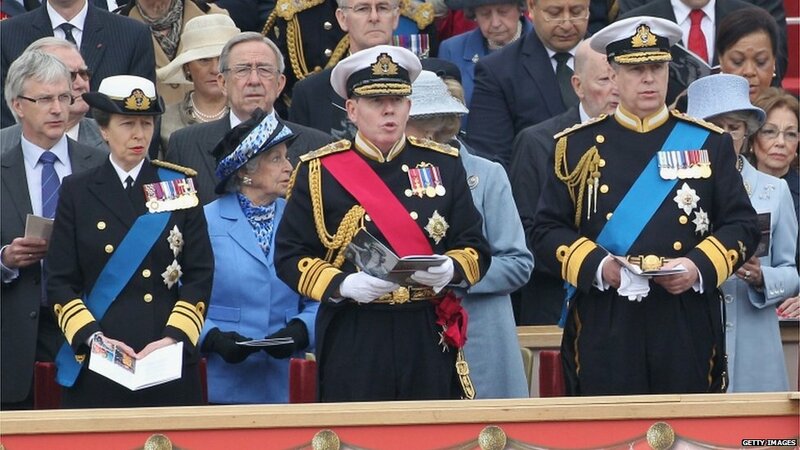 At the muster, Sir David gave an address in which he highlighted the unique relationship the Queen has with servicemen and women. 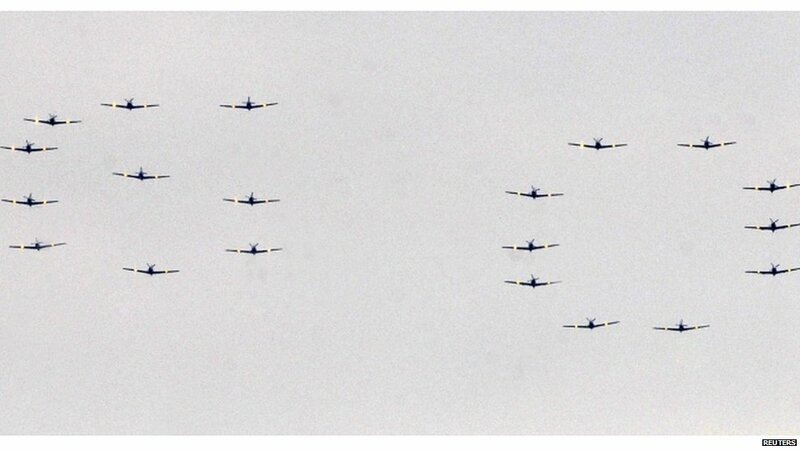 Royal Air Force Tucano training aircraft formed the number "60" to mark the number of years of the monarch's reign. 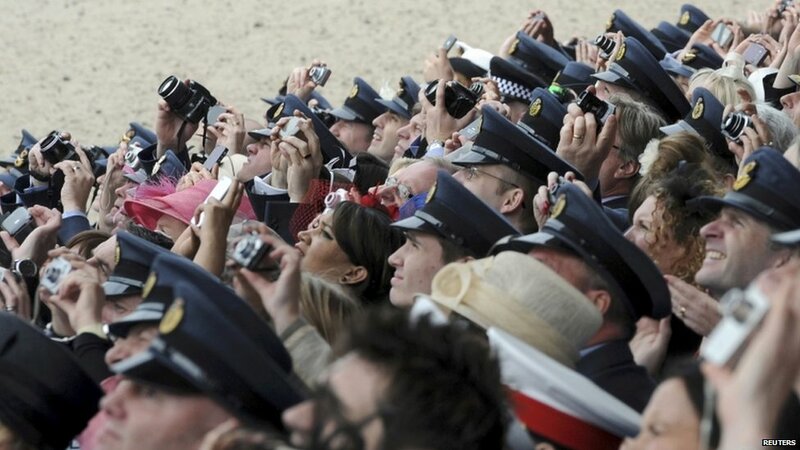 Onlookers gazed at the sky and took photographs as planes flew past. 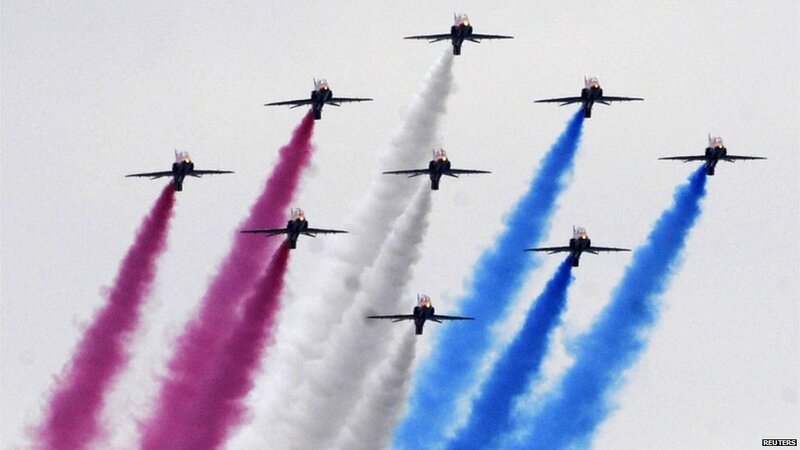 Royal Air Force Hawk training aircraft also took part in a flypast. 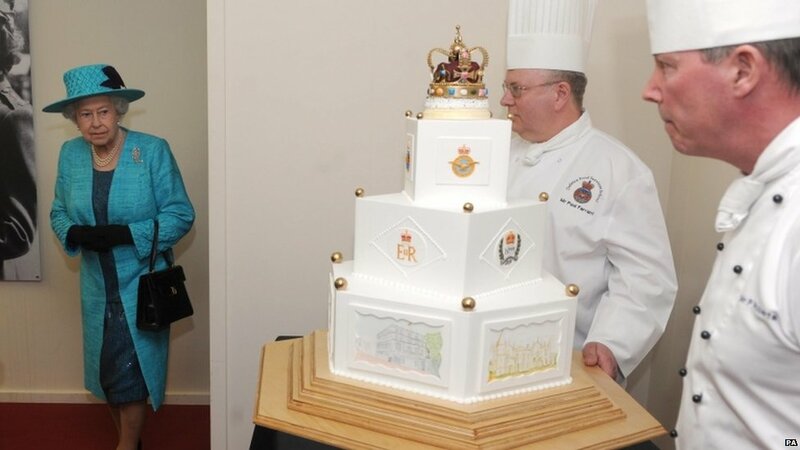 Princess Anne and Prince Andrew were among other royals who attended the event. 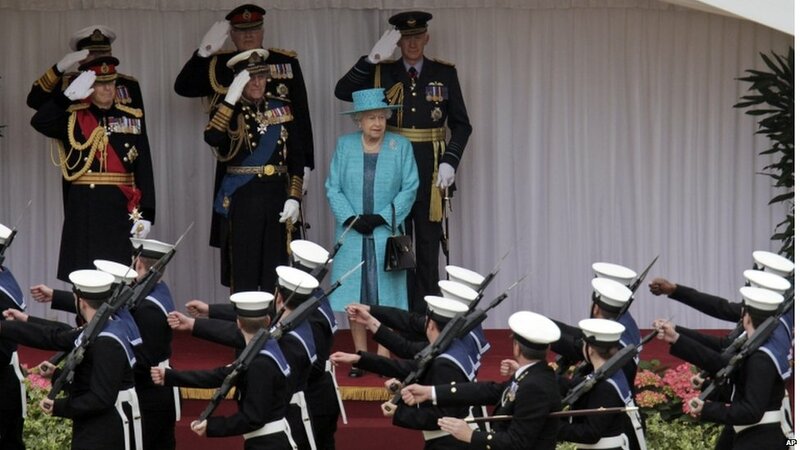 The spectacle marked the unique relationship between the armed forces and their Commander-in-Chief, the Queen.